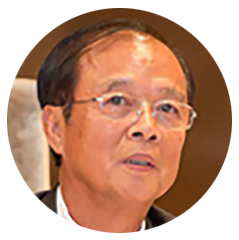 He is the Former Chairman, National Broadcast and Telecommunications Commission (Thailand), which is the independent governmental regulatory agency in Thailand. Professor Prapinmongkolkarn, played a leadership role in Thailand as a founder of the Meaningful Broadband Working Group, which is the structure through which Digital Divide Institute operates at Chulalongkorn University. He has had a distinguished career as one of Asia’s most significant innovators and policymakers in telecommunications. He was a professor at the Department of Electrical Engineering, Chulalongkorn University, Thailand’s premier university, where he had received his bachelor’s degree. 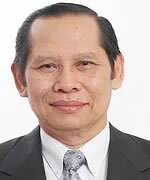 During his tenure as professor, he was elected by the majority of Senators in the Thai parliament to be the National Telecommunications Commissioner in October 2004 and he ascended to the chairmanship of NTC in 2010. An expert in next-generation networks, he has active relationships in the engineering field in Japan. He received his Ph.D. in Communication Engineering from Osaka University in 1976, Since then he has been working on regulatory development relating to new technology deployment, spectrum allocation and telecommunications industrial promotion. He is currently a Professor Emeritus of Chulalongkorn University. His areas of research interests include Broadband Wireless Access, IP network and regulatory framework development. 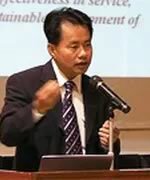 He was former President of Chulalongkorn University Intellectual Property Institute, Director of Chula Unisearch and also Bangkok Area Representative of IEICE, Japan. 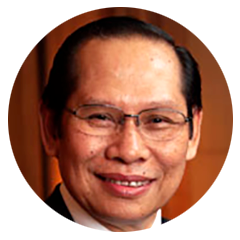 Professor Prasit is a prominent and ubiquitous public speaker in conferences around the world which focus on digital divide and technological aspects involved in spreading broadband ecosystems to the world’s low-income sectors. He was employed by Telephone Organization of Thailand and has worked on many leading engineering projects in Thailand. Vat Chun is Under Secretary of State, Ministry of Post and Telecommunications (MPTC) of the Kingdom of Cambodia, which oversees efforts to close Digital Divide in Cambodia. 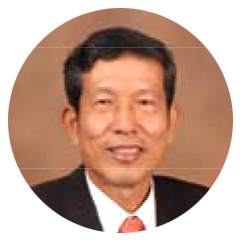 In a prior role he was the Secretary General of NiDA, which is the acronym of the Cambodian agency which coordinates all other government ministries regarding ICT, on behalf of Prime Minister Hun Sen. His Excellency Vat Chun became DDI’s advisor to Cambodia in 2011, two years after he hosted DDI’s first seminar in Pnom Penh regarding Meaningful Broadband. Since then, NiDA and DDI have planned to go to the next level in order to formally create Meaningful Broadband for the Ministry of Post and Telecommunications which oversees the nation’s build out of telecommunications infrastructure. DDI is pleased to be working with Cambodia towards the goal of establishing the small agrarian nation as one of the world’s most innovative LDCs (least developed nations) regarding the linkage of Meaningful Broadband with socioeconomic reforms. She has advised Digital Divide Institute on the concept of “sufficiency economy” which is a core concept that underlies “meaningful” in our model of broadband deployment. 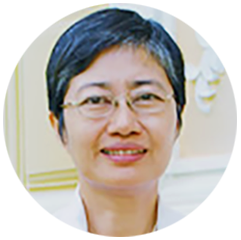 She is Project Director of Sufficiency Economy Research Project at the Bureau of the Crown Property, which is tied to the interests of the Thai Royal Family. She has been a driver of many efforts within Thailand in academic, governmental and private sectors to translate the notion of “Sufficiency Economy” into tangible and measurable policy reforms. From 1987-2000 she was a Policy and Plan Director, for NESDB. Dr. Priyanut received her Ph.D. in Economics, from the Department of Economics, Simon Fraser University, Burnaby B.C. Canada in 1997 (CIDA Scholarship), her M.A. in Economics from Tsukuba University in Japan. One of the founders of the Meaningful Broadband Working Group in Indonesia, Dr. Setyanto is the chairman of MASTEL, the powerful national ICT association in Indonesia, which is a partner of Indonesia Group Against Digital Divide (IGADD). As former CEO of PT Telkom, he launched Telkomcel, now the largest mobile company in Indonesia and is now a member of the board of commissioners of Indosat. Dr. Setyanto received academic degrees from University of Gajah Mada, Padjadjaran University, and Michigan State University in the USA. He continues to lecture in universities. His career in public service involved a stint as Permanent Secretary in the Ministry of Culture and Tourism in the Republic of Indonesia. He is the former Permanent Secretary of the ICT Ministry in Bangladesh. Because Bangladesh is a global innovator in the use of mobile phones for economic development, many observers of the global digital-divide scene now look to Bangladesh to show how the country can point the way for other “least developed nations” to leapfrog into broadband connectivity. Though Secretary Khan was not the highest level government official related to ICT, he has been considered a leading player in the effort to close Bangladesh’s digital divide. In particular, he was a driver of the “Digital World” conferences held annually that brought international experts to Bangladesh to interact with local stakeholders to find solutions to Digital Divide. He is responsible for DDI’s close relations to the Bangladeshi government.